Well this is something of a new experience in my brief quilting career to date, but a good one. I knew about Thimbleberries’ line of fabrics, but more recently became aware of a yearly club quilt. The project can have different variations, but what I’m signed up for at my local quilt shop is receipt of a kit every three months. The kit contains the materials and instructions necessary for completing that quarter’s work; at the end of the year I will have a full-sized quilt top. I got a late start; the shop didn’t call me as they indicated they would so I picked it up some weeks late. 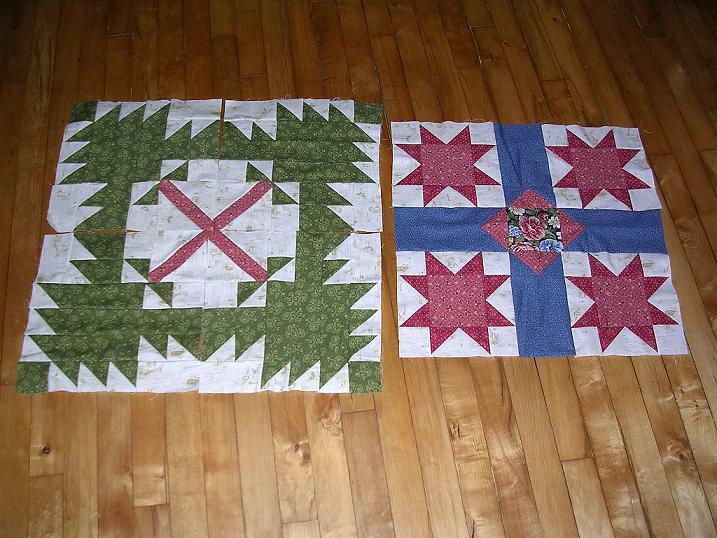 Also and in between, I made a quilt for my grandma and had other interruptions. So just now when I should have completed the second quarter’s worth of Thimbleberries stuff, I have finished only the first quarter LOL! But it’s a fair start.